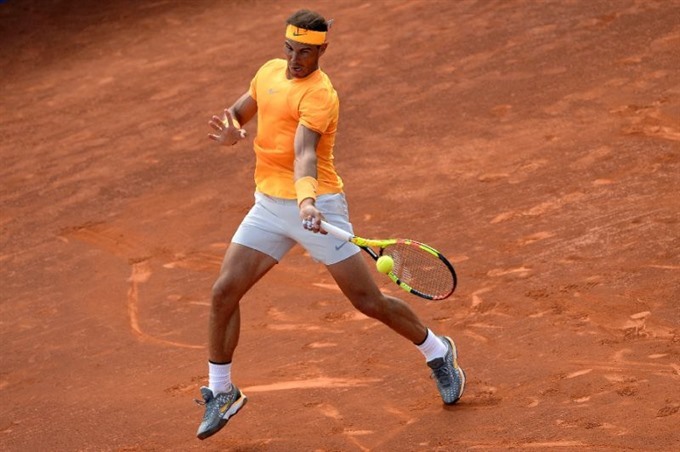 MADRID — Rafael Nadal broke John McEnroe’s 34-year record on Thursday by winning his 50th consecutive set on clay at the Madrid Open. But while the world number one cruised to a 6-3, 6-4 victory over Diego Schwartzman, Juan Martin del Potro, Maria Sharapova and Simona Halep all crashed out. "When my career is over, these are things that are going to be there forever," Nadal said. "They are big records. It’s difficult to be able to win 50 sets in a row. But I’ve done it. It’s over. "Let’s not talk about that any more and let’s focus on what we have ahead." "I think I can improve a lot of things towards Rome and Roland Garros," Del Potro said. "I can level up my game. Right now I’m quite calm". "Even in the warm-up I felt so good today," Pliskova said. "I think I played one of my best matches this year for sure, and for sure on clay in my life." Halep said: "Today she didn’t miss. I didn’t play badly in my opinion. "I missed in some important moments, that’s why it went her way but I’m not very disappointed about this match. She deserved to win." Sharapova is set to climb inside the top 40 next week and the 31-year-old will be encouraged by her week’s work, where she showed signs she is finding her rhythm. "It was great to get those wins against those players," said Sharapova, the 2014 champion in Madrid. "But there’s a reason I came up short today. You also want to evaluate that and go back to the drawing board and start over again."